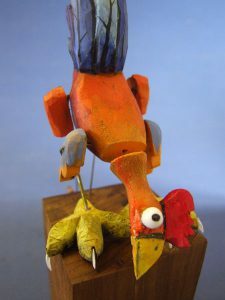 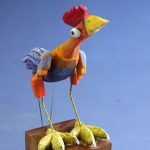 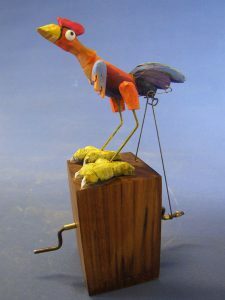 A new edition in Carlos’ series of Rooster and Chicken automata. These vibrant works are evocative of Carlos’ native Colombia. 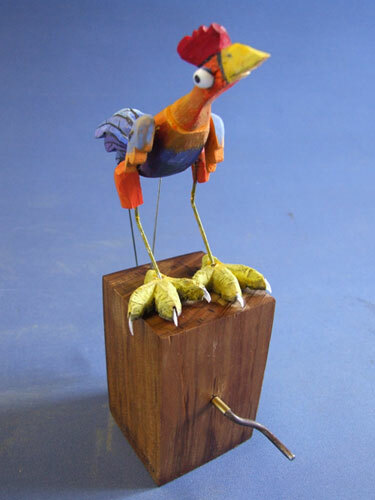 This one has a great pecking action, as he bends right down to the floor to peck some food.